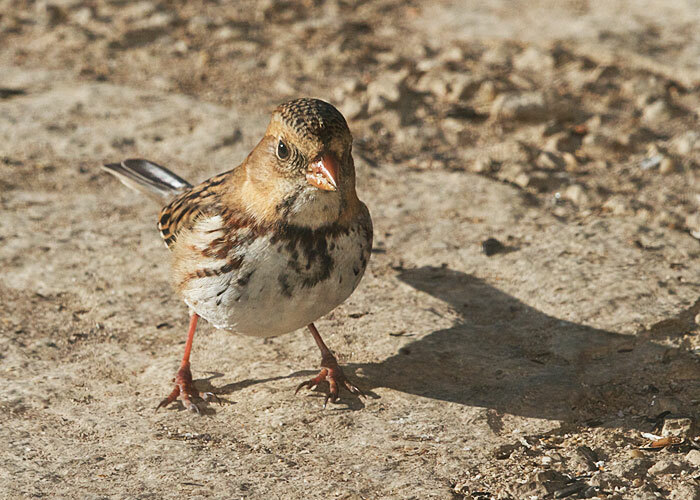 I enjoyed a visit this morning from a Harris's Sparrow. This bird was hatched last summer up by the Arctic Circle, and it's making its first migration south. It may stop in again next spring on its way back to its breeding grounds. By then it will have a wicked black crown, throat, and chest.